TCL is developing a new hybrid QD-OLED display technology | What Hi-Fi? Chinese manufacturer TCL has unveiled it is working on a new QD-OLED hybrid display technology for its high-end displays, as reported by OLED-info.com. With work going on at the company’s Juhua Printing platform, it is being named H-QLED and uses a blue OLED emitter alongside red and green QD emitters. The latter it believes will be achievable at a commercial level in the near future, blue will be more difficult to develop hence the use of OLED at this point. Little else appears to have been detailed about TCL’s advances in H-QLED technology, other than it will be ink-jet printed – a technology the company seems long to have backed. 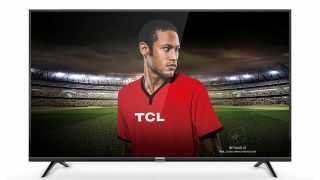 Over the years, TCL has built a reputation for making an abundance of affordable TVs, and in 2017 it became the third-biggest brand in North America, though this technology might signal the manufacturer getting more of a foothold in the flagship television market worldwide in the near future. At CES earlier in the year we saw its 75-inch 8K model, the X10 (above), which is the first Quantum Dot television TCL has launched globally since working with the technology in Chine since 2014. That is stated to arrive in certain markets in the second half of the year. If you’re looking to kit your living room out with a TCL set right now, however, you should take a look at our article running the rule over some of its aggressively-priced 4K TVs currently on the market.